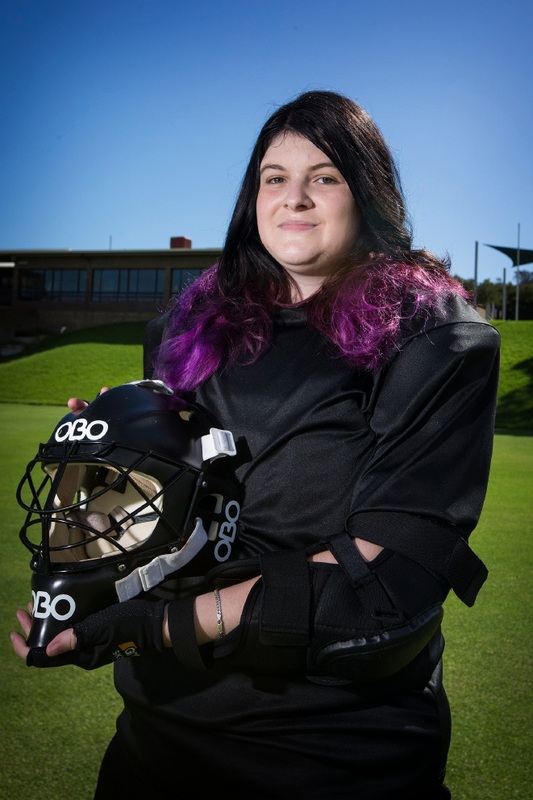 WITH stick in hand and protective gear on, Cassandra Ferguson looks like any other goalkeeper when she takes to the pitch for the Fremantle Hockey Club. But the 22-year-old knows the adversity she has to overcome to play the sport she loves week in and week out. Despite being diagnosed with Asperger syndrome only this year, Ms Ferguson said it had affected almost every aspect of her everyday life since she was a child. “I have poor social and communication skills and have a lot of sensory issues,” she said. “I have trouble making friends, engaging in conversation and expressing my feelings. While the loud noises of the crowds, bright lights in the stadium and communication with her teammates can sometimes make hockey difficult, Ms Ferguson said she got a lot out of playing, especially when she was protecting the goals. “When I put on the goalie gear, it already meets some of my sensory needs,” she said. “I like heavy/weighted things and wearing all that gear makes me feel calm and like nothing can get to me. “And wearing a helmet I can block the surroundings out from around me. With dreams to continue playing hockey and to help those living with a disability, Ms Ferguson said she had a simple message she wanted to pass on. “You can achieve anything you put your mind to, no matter who you are,” she said. Fremantle Hockey Club women’s vice-|president Tania Smith said Ms Ferguson was an integral part of their club. “Having Cassie join us is a wonderful asset for the club,” she said.